A listing such as this is also given in ‘The Violence of Development’ book, but this website listing is marginally fuller in detail, although still only includes just a few of the many projects around the region. Throughout Central America, there are many small-scale solar powered oven schemes. The Central America Solar Energy Project for instance promotes solar cookers in Honduras, Guatemala and Nicaragua[viii], and numerous other NGOs support similar schemes to reduce firewood use and improve womens’ health. 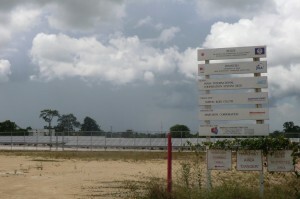 One of the region’s largest solar power schemes (but still small by global standards) was put forward by the government of Japan (through JICA) which in 2011 offered the government of Belize a $20 million photovoltaic solar panel system built on just over 2 acres of the University of Belize’s land in the capital city Belmopan. The university will manage and maintain the project after construction is complete and will sell the electricity to Belize Electricity Limited, the country’s primary distributor of electricity. In Costa Rica, the CNFL (National Power and Light Company) is financing a $1 million programme, installing two solar panels on each of 500 homes. The individual and household participants have no costs to cover, and actually receive a monthly fee for renting their roof, but the equipment belongs to CNFL. If the house uses more than 400 watts, the extra watts required come from conventional electricity sources. If the demand is lower than 400 watts, the excess goes to the national electricity distribution system. The above listing represents only a small fraction of the small-scale solar power projects found within Central America, and it would be easy to conclude that such power provision must be the way forward for Central America. But even multiplying the few projects listed above by several hundreds would still only scratch the surface of the need for electricity around the region. It may indeed be the way forward for many remote and small rural villages, and there are those who would argue that it is the way forward for many urban and institutional uses too. [i] Jorge F. Travieso (December 2010) ‘Evaluation of Solar Panel Energy Support: Honduras Case Study 2010’, Nordic Development Fund, Tegucigalpa, Honduras. [ii] USAID (2006) ‘Solar Power Meets Rural Energy Needs in Guatemala’, USAID, Washington DC. [iv] Global Patriot (29 March 2010) ‘UCSD Brigades Bring Sustainable Energy to Panama’, http://files.subtledream.com/GB/GEB%20UCSD%20Winter%202009%20Report.pdf (accessed 22.07.11). [v] US Environmental Protection Agency (2007) ‘Final Report: Solar Photovoltaic System Design for a Remote Community in Panama’, http://cfpub.epa.gov/ncer_abstracts/index.cfm/fuseaction/display.abstractDetail/abstract/8104/report/F (accessed 22.07.11). [vi] Nicaragua News (7 September 2010) ‘Forty-two RAAN communities to get solar power facilities’, Nicaragua Network. 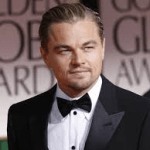 [vii] Luxury Living Magazine (25 October 2009) ‘DiCaprio joins with Four Seasons at Blackadore Caye’, Luxury Living Magazine, www.luxurylivingint.com/blog/best-of-travel/dicaprio-joins-with-four-seasons-at-blackadore-caye/ (accessed 22.07.11). [viii] Central America Solar Energy Project (CASEP) (Spring 2007) ‘The Solar Cooker’, Newsletter of the CASEP, http://www.solaroven.org/newsletter/casep%20newsletter%20(7).pdf (accessed 22.07.11).